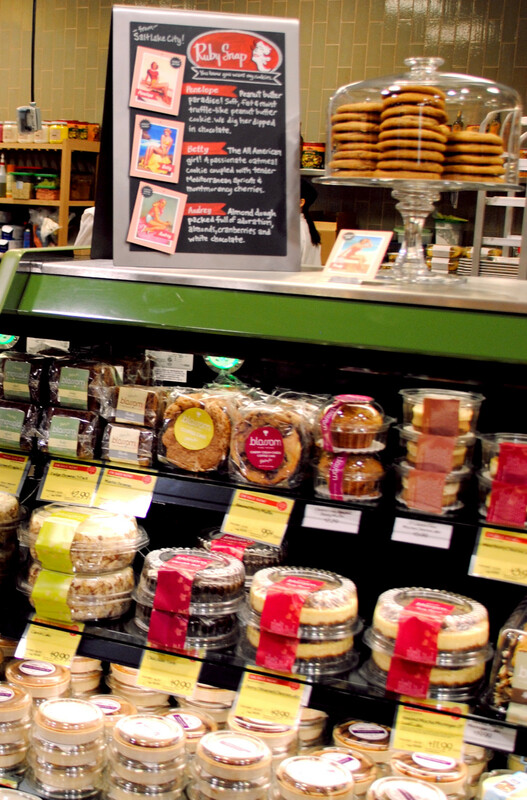 To walk in the new Whole Foods you get a sense they really like to support the local food artisans: Crumb Brothers, Beehive Cheese, City Cakes, Ruby Snap, Bubble and Bee, Dolcetti Gelato, Creminelli Fine Meat are just a few of their proud local providers. 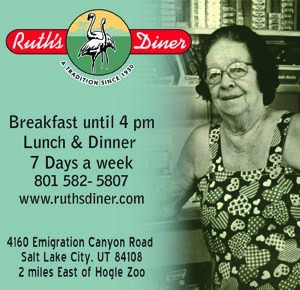 Above each local food, a photo and short description introduce buyers to the local food providers. Any local food provider who has the opportunity to be offered in Whole Foods sees a huge boon in business. With 350 stores nation wide Whole Foods remains committed to sustainable food and energy practices. 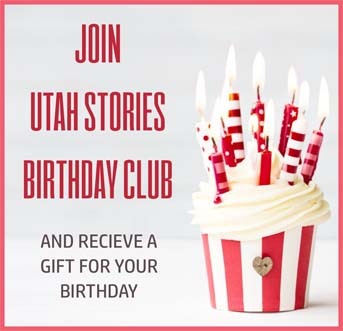 If you are familiar with Utah Stories, we make it clear we are bias in favor of local, but It’s hard to find much to criticize about the corporate behemoth from Austin, Texas. “We support sustainable energy wherever possible. 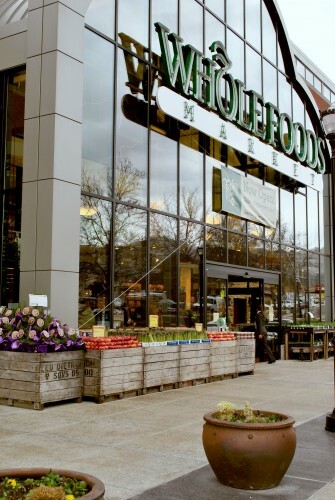 The cooling systems sue no ozone depletion refrigerants and all the energy for the facility is 100% offset by wind power.” says Whole Foods Marketing Specialist Corinne Piazza. Piazza took Utah Stories on a tour pointing out how all of their fish are rated for the impact their catch has on the population. A red dot beside a rare fish indicates that fish is caught in a manner that isn’t sustainable, while a green dot indicates the fish’s overall population isn’t affected the species or the ecosystem of the waters it was caught. “By 2013 we intend to phase out all of our fish sales that are red dotted.” Piazza says Whole Foods wants to change the entire way consumers think about food and how ranchers and fisheries raise and process their meat. “Our owners really want to change the world with this practice,” says Piazza. After the economy went south Whole Foods wanted to hold off in their plans to move into Trolley, but an impending lawsuit changed their minds. This made all existing Trolley tenants breath a sigh of relief. Trolley has been under construction for the past four years. The design of the new Whole Foods with their own separate parking lot is not intended for sole use by Whole Foods customers. Trolley Square Marketing Director Dawn Katter explains, “Anyone who parks in any of our lots can visit Whole Foods or any other store in Trolley.” Katter says that the new addition and completion of Whole Foods has already enticed Prana Yoga studio to soon open in the North portion of the West Plaza and occupy 15,000 square feet. Prana is scheduled to open April 16th. Katter added, “It’s a good marriage with the existing retailers. This is the first non-retro fitted Whole Foods in Utah. Whole Foods occupies 42,000 square feet of space. The new store is three times larger than their old facility. An additional 15K of space remains to the South between Whole Foods and the rest of Trolley Square for another anchor. The only problem with the current design is there isn’t currently an intuitive bridge between Whole Foods and the existing Trolley Square mall. There is only one front entrance to the rest of Trolley Square and visiting the rest of Trolley requires an appproximate 1,000 foot walk past a vacant space to the mall entrance. Perhaps once this space is filled this gap will be alleviated. 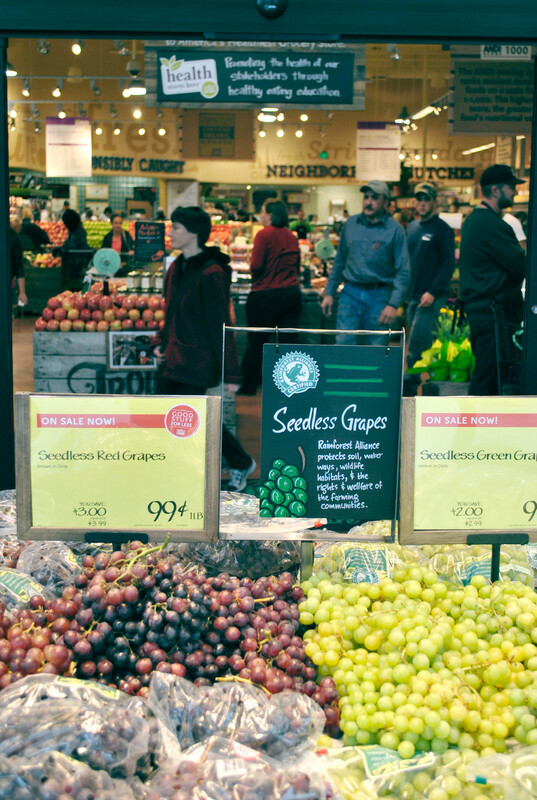 Whole foods is dedicated to promoting local arts and charity. Four times a year they have a day when 5% of net sales benefit a local charity. Bad Dog Arts is a local children’s art school that will receive funds from Whole Foods to design and paint a mural on their North-East wall, entitled Water Tower to Wind Power Trolley Square Then and Now. Whole Foods presented Bad Dog a check for $5,000 on opening day to complete this project. Whole Foods has also donated over $4,000 to Ballet West. In additionPiazza says they will be organizing an Easter egg hunt that will tie in with existing retailers inside of Trolley Square on April 9th.